LOUISVILLE — Every March, goats hold a place of honor at Sherrill’s Ford Presbyterian Church. Inspired by the Presbyterian Giving Catalog, the North Carolina congregation highlights how goats improve people’s lives in the developing world. Then members are invited to give toward the congregation’s collective purchase of goats through the catalog. The catalog points out that the milk, cheese, butter and yogurt that goats produce enhance nutrition for people who need it most. Goats are among nearly 40 giving opportunities in the catalog. The catalog’s items exemplify the variety of ways Presbyterian Mission does its work. The month-long emphasis on goats at Sherrill’s Ford this year resulted in gifts totaling $4,450. That bought 25 pairs of goats at $178 each. 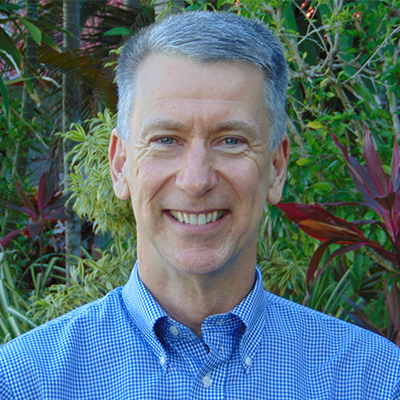 Bryce Wiebe, director of Special Offerings for the Presbyterian Mission Agency, said the 86-member congregation is among the top churches in the denomination for per member giving through the catalog. In addition to promoting goats in March, Sherrill’s Ford has an annual emphasis in October on garden wells that last year raised $4,500. The congregation, which is in the unincorporated community of Sherrill’s Ford, is about 35 miles north of Charlotte. Promotions for these opportunities are relatively low-key. 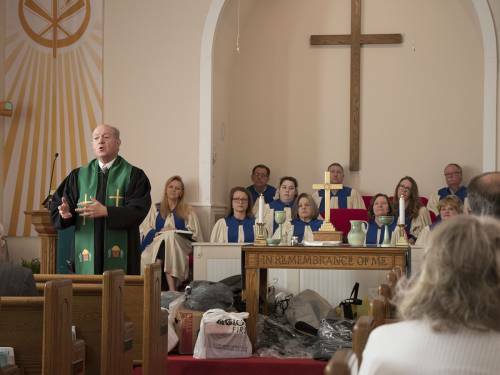 They are publicized through pulpit announcements, articles in worship bulletins and the church newsletter, and in a pre-worship PowerPoint slide show that lists a variety of congregational news items. “Goat Sunday” is observed the first Sunday in March and supporters give throughout the month. Giving to “Garden Well Sunday” follows a similar pattern. The potential for church members to make a difference through their giving is clearly stated, says Russ Reighley, co-pastor of Sherrill’s Ford. Each Sunday, Russ stresses that “we have the opportunity to change the lives of people.” Russ and the other co-pastor, his wife, Marcia, are commissioned pastors in their sixth year of ministry at Sherrill’s Ford. Doris, a retired nurse, says her passion for international mission has been fueled by personal experience. 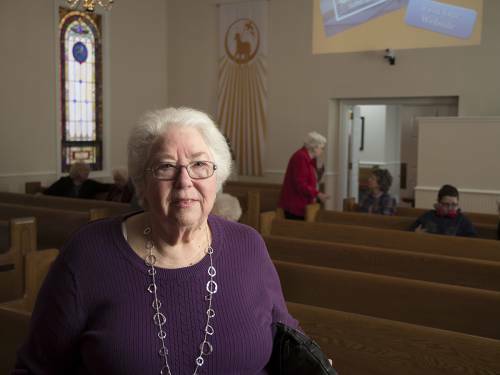 In the late 1960s, she served as a Presbyterian mission co-worker in Mexico. There, she saw the impact that a grant from the Presbyterian Women’s Birthday Offering had on the hospital where she worked. “I saw what was being done, and I just feel like I still want to be a part of it, even if I can’t be there or do as much,” she says. “I can give a little.” “She gives a lot,” Russ interjects. When he came to the church, Russ, a former consultant to businesses in transition, says it didn’t take him long to determine that Sherrill’s Ford was a congregation with “great bones.” This sound structure, he observes, was built by generosity and caring. He says these persistent qualities have enabled the congregation to reach out to a community that is beginning to change. While farming is still central to this rural community, Charlotte’s northward expansion has placed Sherrill’s Ford on the fringes of the city’s bedroom communities. Of the congregation’s 86 members, 27 have joined in the past five years. The newcomers worship among descendants from five of the seven families that formed the church in 1881. New and longtime members also come together to support special mission opportunities, stock a clothes closet at a local school, provide a free community meal each month, and participate in Western North Carolina Presbytery’s mission partnerships in Guatemala and Malawi. Russ says that embracing new people and engaging in mission are matters of faithfulness. “We talk about the Holy Spirit constantly, and we follow the lead of the Holy Spirit, and that works,” he says.